Abu Dhabi Global Market (ADGM), the International Financial Centre in Abu Dhabi, in collaboration with KPMG, announced that 11 outstanding global FinTech firms have been shortlisted for the inaugural FinTech Abu Dhabi Innovation Challenge in October. The selected firms are currently undergoing an intensive five-week programme (which kicked-off on Sunday 17th September), which allows them to contextualise and present market-ready solutions tailored for the Middle East, Africa and South Asia (MEASA) region. Overcoming stiff competition from 166 applicants, the 11 successful companies come from a number of different countries including four applicants from Singapore, two from India, one from Hong Kong, one from China, one from Canada, one from the United Kingdom and one from the UAE. Each of the applicants put forward exceptional ideas that provided innovative and game-changing solutions to a series of problem statements to address real business challenges that the financial services industry currently faces. Within the 5-week programme, the shortlisted finalists will be tasked with developing their solutions to specific problem statements, focusing at six focus areas: Financial and Investment Management, Financial Inclusion, RegTech, Trade Finance, InsurTech and Private Capital Markets. Some of these statements include developing personal finance management tools, KYC solutions, interactive investment ecosystems and financial services for the un(der)banked. Over the course of the programme, each finalist will also benefit from the support and mentorship of an expert pool of more than 14 FinTech and financial industry leaders over the course of the programme, including topic deep-dives on business incorporation, regulatory requirements, funding and partnerships, opportunities to enter or expand into the MEASA financial services sector and fast-tracked consideration for admission to ADGM’s Regulatory Laboratory (RegLab) programme. All finalists will then proceed to the hotly-contested FinTech Demo Day taking place on 22nd October, where two eventual winners will be selected and invited to demonstrate their solution at the upcoming Global FinTech Hackcelerator in Singapore. NewBridge FinTech (Fundshop) (UAE) – a UAE-based digital wealth solution provider to Private Banks, Wealth Management and Asset Management companies. Its flagship product, Fundshop, is an automated wealth management robo-engine which uses multiple processes to provide tailored and institutional level of portfolio advice to private clients on their existing and new wealth using a highly innovative, risk and trend-based algorithm. Alpha FinTech (Singapore) – a FinTech vendor enablement and management platform. Using a single API and a simple user interface, banks, payment gateways and enterprise merchants are now able to access both new and legacy vendors across the entire payment, risk and commerce spectrum. Alpha also introduces new value-add layers to optimise the utilisation and management thereof. Everledger (UK) – using the best of emerging technology including blockchain and smart contracts, Everledger’s solution shifts the burden of the paper process onto a digital global ledger that is immutable, secure, scalable and fast. With a hybrid approach of public and permissioned ledgers, the permissible parameters of the records are easily managed. This redefines the way documentation is stored and data is shared, which is adaptable across numerous industries and highly mitigates risk and fraud with clear financial as well as insurance benefits. FRS Labs (India) – have built a digital solution that allows customers to open bank accounts from the comfort of their homes. They allow customers to scan any National ID, verify personal details, detect images, read facial expressions, and check for liveliness of the applicant and match with other compliance databases to detect risky applicants. The account opening process includes customer due diligence to detect risky applicants can be completed under ten minutes with dramatic reduction in cost for banks. ftcash (India) – aims to empower these small businesses with the power of digital payments and loans, only using a bank account and a feature phone. ftcash aggregates all payment methods including credit/debit cards, net banking, various mobile wallets, UPI, BharatQR and PayPal to create an open platform for merchants to initiate digital payments and provide institutional capital in less than five minutes. Market IQ (Canada) – is a simple app that helps users manage their financial life easily and effectively. It combines data from multiple sources like bank accounts, credit cards, insurance, and brokerages to provide a unified view of the user’s financial life. Not only does the app make everything easy to understand with beautiful visualisations, it also interprets the data using its cognitive intelligence engine to surface insights in simple English so the user can better understand the story behind the numbers and take real action to save money and make money. Canopy (Singapore) – is a platform that allows all assets to be anonymously aggregated and viewed as a single portfolio, run portfolio analytics, and generate custom reports and more. Facing a lack of data feed from private banks, Canopy eliminates manual data entry by straight-through-processing data from any sources, including PDF statements. Having an aggregated portfolio view coupled with their innovative tools helps users to make sense of their data, resulting in better investment decisions. Silent Eight (Singapore) – is powered by artificial intelligence and built to think like an analyst. Silent Eight reviews all available data at lightning speed and provides analysts with useful, relevant information with each alert. This helps the analysts to conclude their investigations much faster and with far fewer mistakes. Privé Financial Limited (Hong Kong) – Wealth management is being challenged and transformed by regulatory oversight, client expectations and increasing competition from industry disrupters. Accordingly, wealth advisors cannot continue the traditional “product pushing” business model and must transition to a more customer-centric model whereby they look to personalize their service offerings. At the heart of this sea change is the ability of institutions to truly understand their clients. By empowering the financial advisors with superior intelligence and execution capabilities, Privé Managers presents a digital ecosystem geared towards enhancing client engagement through a personalized advisory approach. By coupling DaaS (data-as-a-service) and SaaS (software-as-a-service) models, Privé Managers presents a comprehensive solution for financial advisors to deliver an unparalleled degree of portfolio advisory services and ability to increase the share of their end-clients’ wallets. PIVOT (China) – uses AI and machine learning to bring investment management beyond human inefficiencies. PIVOT’s algorithms are transparent and based on Nobel-winning Modern Portfolio Theory (MPT) to offer good long term risk-adjusted returns via globally diversified portfolios 24×7, with low fees and low entry investments. Therefore, PIVOT makes investing simple, convenient, digital, efficient and low fees. The 11 teams were selected by a panel of industry experts based on criteria which included: uniqueness of the solution; relevance to the problem statements; business potential and scalability of the solution; maturity of the solution and demonstration of start-up’s ability to execute. The FinTech Abu Dhabi Innovation Challenge, organised by ADGM and KPMG, is part of the first FinTech Summit in the region, between 22 and 23 October 2017. The event will give the 11 finalists the opportunity to showcase their solutions on the main stage of the FinTech Summit in Abu Dhabi. During the Summit, participants will present their solutions to a panel of industry experts. 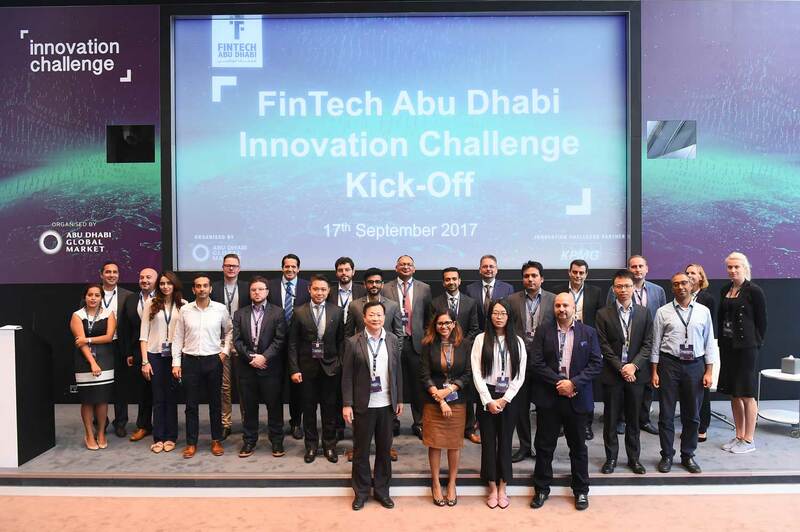 The experts will then select the two final winners who will be invited to participate at the Singapore FinTech Festival, as part of the ADGM team, to showcase their solution on 16 November 2017 at the Global FinTech Hackcelerator held in Singapore.